What does a Little Caesars Enterprises Franchise Cost? $100,000 liquid capital and a net worth of $250,000 is required to open a Little Caesars franchise. The total investment for a carryout location ranges from $334,000 - $1,370,500. Entrepreneurs have a choice to open non-traditional smaller stores, including the classic express, self-serve express or cashier express or larger free-standing stores not in strip center locations. 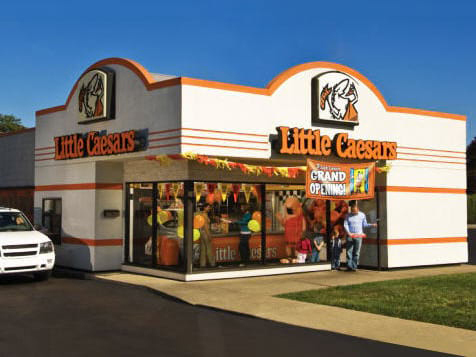 The Little Caesars brand, history and simple business model are great benefits. The brand equity built throughout the past five decades has grown Little Caesars fan base and is a driver of the company’s growth. Little Caesars distinction of being named “Best Value in America”* for the last eleven years is proof of its commitment to satisfying those customers by providing one of America’s favorite meals at an affordable cost. Today, Little Caesars is looking for franchisees to help bring HOT-N-READY® pizza to a wide range of communities nationwide. The company also offers opportunities in non-traditional franchise venues. 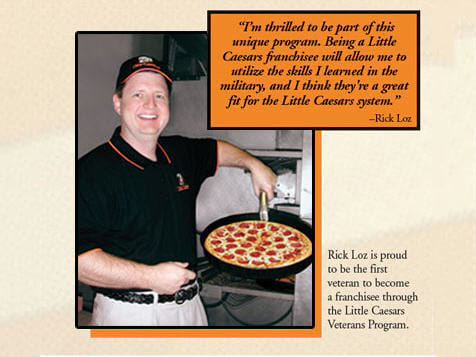 To learn more about opening your own Little Caesars franchise, submit an inquiry in the form below. * “Highest Rated Chain-Value for the Money” based on a nationwide survey of quick service restaurant consumers conducted by Sandelman & Associates, 2007-2014.